Jean Houston: “The Wizard of Us—Transformational Lessons from Oz” | Choose Your Energy: Change Your Life! ← Motivation: Are Your Fueling Yourself With Love or Fear? Time to uncover your inner hero and become the person you were always meant to be. Answer the call to transform yourself and your world: expand your thinking, open your heart, and build the courage to truly connect with your own Hero’s Journey. 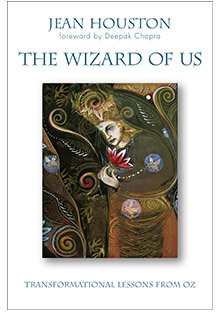 Click here to listen to a recording of my June 5, 2013 radio episode with my guest Jean Houston as we explore the insights offered in her newest book, The Wizard of Us. Jean harnesses the power of the beloved story, The Wizard of Oz, to reveal the Hero’s Journey that awaits each of us. Discover how Dorothy’s adventure in a magical land inspires our lives today, offering valuable tools to guide us through our own challenging times. Learn how to thrive rather than merely survive. By interpreting the deeper messages within The Wizard of Oz, Jean leads us along the Hero’s Journey that awaits each of us. On this profound adventure of self-discovery and awakened potential, Jean’s lessons propel us into greater self-understanding and a connection to the larger world story as we explore Oz like never before. 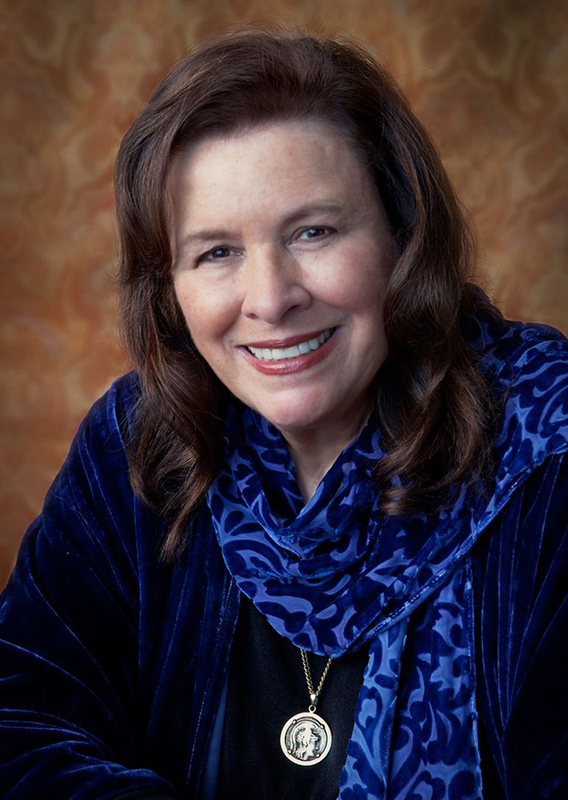 Jean Houston is a visionary thinker, teacher, and philosopher who pioneered the Human Potential Movement during the late seventies and developed the Social Artistry leadership model used by the United Nations Development Group. Over the course of her work, Jean has developed a worldwide network of social leaders, educators, and philosophers such as Aldous Huxley, Joseph Campbell, Carl Jung, Helen Keller, and Margaret Mead, giving her unique insight into human potential. Jean reaches millions of people throughout the year via her teleseminars, lectures, and symposiums. According to Evolving Wisdom, the author is the single most successful teleseminar giver (with the exception of Oprah) in the industry. Jean has worked with UNICEF, the United Nations, NASA, and others. She has written over 26 books in her lifetime. Her latest book is THE WIZARD OF US (Beyond Words/Atria). Visit www.jeanhouston.com for more information on Jean’s books and life-changing programs. In THE WIZARD OF US: Transformational Lessons from Oz (Atria Books/Beyond Words; November 20; $24.00), visionary thinker, teacher, and philosopher Jean Houston helps readers discover the powerful, unique skills and qualities embodied by the beloved characters of Dorothy, the Wizard, the Scarecrow, the Tin Man and the Lion that live within each of us. With specific, easy-to-follow exercises and incredible “aha!” insights, you’ll begin to expand your thinking, open your heart, and build the courage to truly connect with your own Hero’s Journey. This entry was posted in All My Blog Posts, Authenticity & Purpose, Love, Fear & Gremlins and tagged Deborah Jane Wells, From fear to love, Love or fear, What is authenticity, What is fear, What is life purpose, What is my life purpose, What is the meaning of life, What is the purpose of life. Bookmark the permalink.